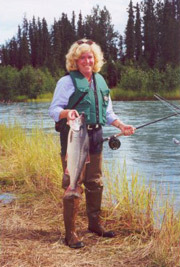 Silent Run offers sockeye (red) salmon fishing from riverbanks along the Kenai River. 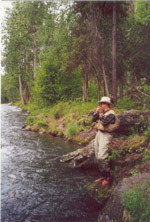 We will float the Kenai River using a 21' custom drift boat. Walk-in trips are also available. 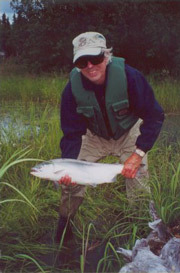 June and July are prime months for sockeye fishing. The recommended dates are June 18 through 30 and July 18 through 31. We provide 12 weight rods, strong line and sharp hooks. 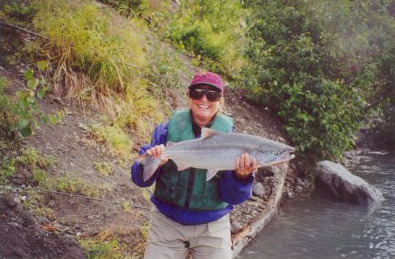 If your trip to Alaska coincides with a sockeye salmon run, you will find this an exciting option.